These tires with original profile are designated for motorcycles BMW R75 and Zündapp KS 750. VW 82 and VW 166. They have original WH profile and they are exact replica of World War II production. 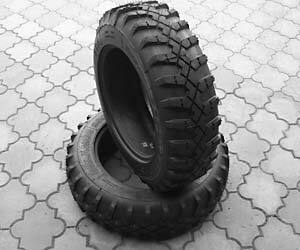 These tires are designated for VW Kdf-166.Tread profile is an exact copy of WWII production. The depth of the tread was increased by 6 mm. That inceases lifespan of the tire by 100%. 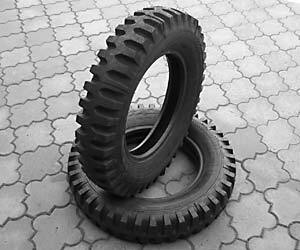 These tires are mainly designated for Jeep vehicles. Tread profile is the same as original US production, only the depth of the tread was increased by 5 mm in order to increase tire longetivity without increasing expense. These tires are designated for BMW, Mercedes G5 and Stoever vehicles. Tread profile is the same as the original Wehrmacht. 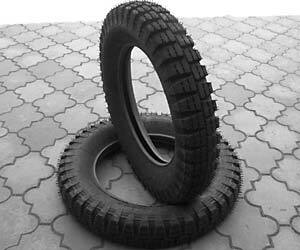 These tires are designated for Horch, Eintheits Diesel and other vehicles. These tires are for civilian vehicles with tread for the use on public roads. These tires are for the use on public roads. designated for M-151 Mutt vehicles. These tires are the same as the US original. They have icreased depth of the tread for extended life without increase in price. 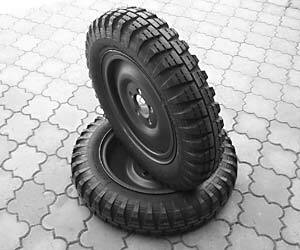 All tires are manufactured in Czech tires factories with the use of quality summer rubber compound. Current owner of those factories is company Continental, that guaranties high quality of the product. These are not tires imported from Asia. All tires have apropriate homolgation aproval for European and US market. It is possible to manufacture more different sizes of tires. 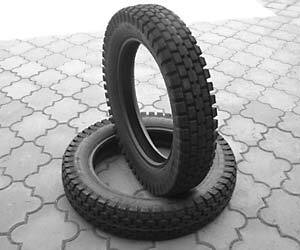 The minimum production order is 200 tires per size. It is being considered to produce tire of size 7,50 x 17 for Krupp vehicles. That is not a common size, therefore a sale of 200 tires is not certain. Each specific tire size requires special tool-mould, which is expensive, therefore risk on the investment is big. 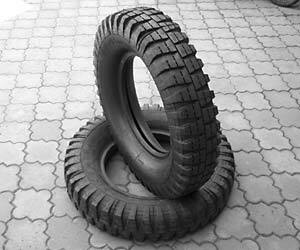 In case, there are enough potential buyers for that particular size of tire, it would be possible to produce it.